I’m closing up my fifth year serving as the executive artistic director for CTW and of course with that comes a degree of reflection. Partly because it’s a healthy practice and partly because whoa. So much has happened since 2012. Part of me wants to strike my foot to the ground and declare myself “Amazing/awesome/no learnings needed here, thank you,” but the rest of me knows that accepting lessons is the only way I can move forward. Plus, what kind of teacher would I be if I couldn’t be taught? …when I said “Theatre is important for young people!” I was right. But I didn’t fully understand grasp the truth of it. I’m still not sure I do. …parents are not the enemy, or the problem that needs solving. …the play is not more important than you. …a lot of people don’t care much about the quality of our programs. They care about the quality of the community we built. …the joy and artistry of my job is absolutely equal to the social and political implications of my job. …watching a child struggle, then succeed, never gets old. …it is literally impossible to do everything right. If you did the thing wrong, let it go but try to do better if you can. If you’re in charge of the person do did the thing wrong, don’t come down on them so hard they’ll stop trying. …a 13 year old is really embarrassed when they realize you still remember what they were like when they were 8. …theatre education is not just for children. …a well-crafted strategic plan and budget is still hugely satisfying. Still with you on that one, 2012 Aimee. …sometimes you can be right and it’s still not more important than being kind. …that breath before the play starts? Still the best feeling in the world. …most leadership looks an awful lot like service. Most service is quiet, behind the scenes, and involves helping other people look good and do well. If you’re into leadership because you like attention, you might have the wrong expectations. …this theatre thing costs money. Like, money-money. …sometimes there is no correlation between doing your best and things going well. Sometimes people get that. Sometimes people don’t. …if theatre is not inclusive, then it’s not doing its job. …I can’t convince everyone to buy into this theatre education/community/inclusive thing. …I’ve barely started to make my own theatre inclusive. …improvisation goes well beyond theatre games, but you still gotta have a plan. …I’d rather have you at 100% and less often, than at 50% all the time. …this theatre is the sound of my heartbeat, but it is not the only thing that makes my heart beat. …theater is literacy and if our young people grow into adults that don’t know how to engage in theatre, then we will have a citizenry that can neither speak nor listen. Theatre is as much of a civic right as reading and writing. It is vital for the health of our community. Okay. Got that all processed. Now I’m thinking about 2022. Five years from now. I sort of had to take a breath, thinking about what could happen between now and then. The enormity of the possible. 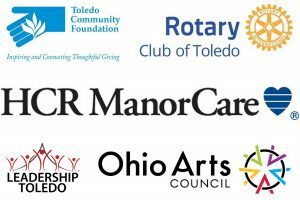 https://ctwtoledo.org/wp-content/uploads/2016/07/childrens_theatre_long_logo-2-1.jpg 0 0 Aimee Reid https://ctwtoledo.org/wp-content/uploads/2016/07/childrens_theatre_long_logo-2-1.jpg Aimee Reid2017-08-14 18:06:552018-01-18 19:58:50"The Last Five Years"
Several points that resonate with me: your point on leadership (I’m learning that a servant leader has more effective change and happier followers) and the heartbeat (I’m struggling to find a new balance as a wife, mom, administrator, person. I know I’ll get there again. I’m glad you’re working on finding a balance as well).